Pressing the "Details" button shows detailed information about the exception. Pressing the "Terminate" button, you can terminates your Delphi/C++Builder session saving all modified files (very usefully when the IDE craches). 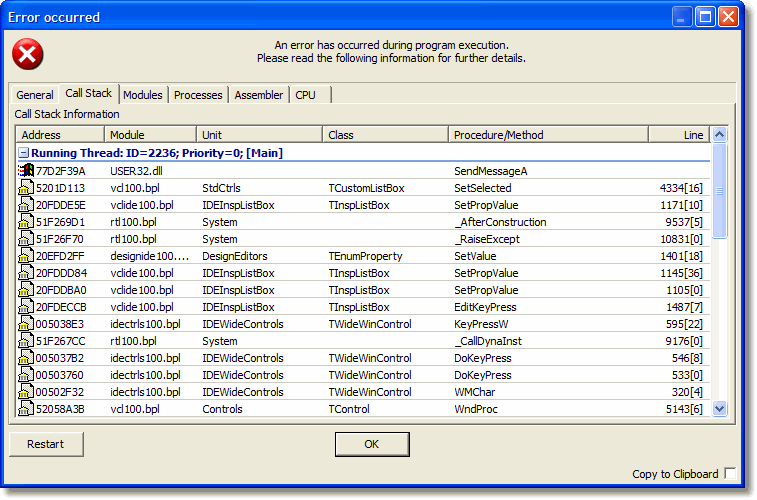 This window shows all VCL and User Source Code points executed before the raised exception. You can debug Delphi/C++Builder BPLs with the IDE using this information.